It is an odd relationship–the way ministers often act as agents of the state to sign civil marriage licenses. We can’t sign any other documents on behalf of the state. But hundreds of years ago, when marriages all (mostly) took place in churches, we entrenched the two acts–the act of the church in joining people in the covenant of sacred marriage and the act of the state in conferring civil rights and relationships to couples. There has been plenty of fear ever since the Supreme Court ruled last week that marriage equality was the law of the land. Much of this fear has been promoted by fear mongerers, threatening to set themselves on fire (just kidding–I’m not kidding about this. He was. A minister said he would set himself on fire if the Supreme Court ruled as it did). And the fear mongerers are successfully ‘mongering’ a lot of fear in well meaning people I love. So let me state this really clearly–NO ministers will be compelled to sign any marriage license because of this ruling. Long before we had marriage equality, we had religious freedom, which remains unchanged. I didn’t sign marriage licenses for three years because Idaho did not have equality and the only way I could act with integrity in this regard was to withdraw from the unjust act of civil marriage in Idaho. You can read more about my decision here. At no point, during those three years, did anyone from the state of Idaho or the Presbyterian Church show up in my office and force me to sign a license. 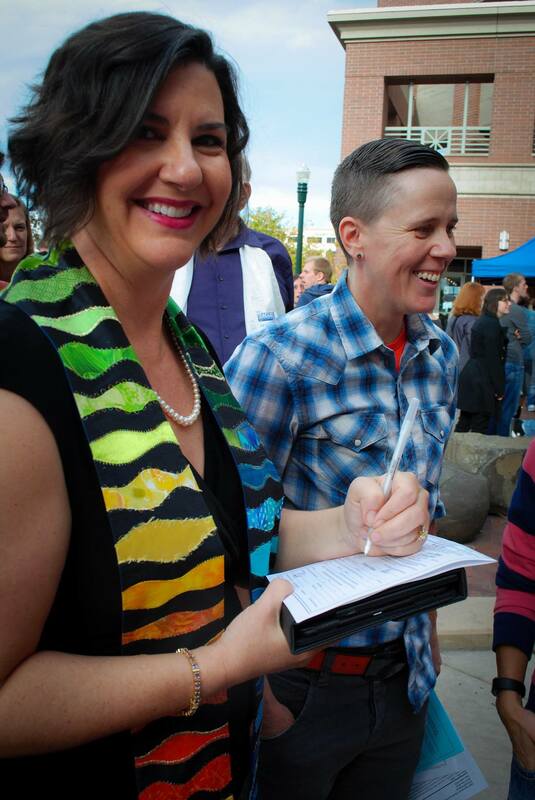 I still officiated at weddings, and the couples had someone else sign their state license. We have a retired judge in the congregation who could do it. Some of them had it done at the courthouse. I have also, through the years, declined to participate in weddings. Sometimes it was simply because of my schedule–if I was already scheduled that day, I declined. They found another officiant. Sometimes I declined for reasons that are best left between me and the couples. Sometimes I declined because the couple refused to do the pre-marital counseling work I require before marriage. Catholic churches consider marriage to be a sacrament. They have had (and will continue to have) great discretion about who is allowed to be married in a Catholic church. They can require couples to have previous marriages annulled before they marry them. They can (and do) decline to marry couples who do not meet their criteria. Under the Presbyterian Church (U.S.A.) Book of Order, W-4.9000, a clergy is authorized, though not required, to act as an agent of the civil jurisdiction in recording the marriage contract. Nothing in our Constitution shall compel a teaching elder to perform a marriage service that the teaching elder believes is contrary to the teaching elder’s discernment of the Holy Spirit and understanding of the Word of God. In the Presbyterian Church, the Session of each congregation has the right to decide which marriages are allowed in the church. So a congregation could decide NOT to have same gender weddings in their sanctuary, but they could not keep their minister from officiating in marriages at other venues. Similarly, a session could decide to have marriage equality in their sanctuary, but could not compel their minister to preside over those weddings. What the Supreme Court decided was a civil right, not a religious doctrine. Gay couples in all 50 states now have access to that civil right. Gay couples do not have the freedom to get married in any sanctuary in the land. And because we’ve confused and conflated those two acts for so many years, I see why people are confused. For those of you who have said to me, “well, it looks like there’s room for discretion today, but in a few years, our religious freedom will be taken away“, let me just point out the status of women. Women have civil rights in all 50 states. We can vote. We are considered fully equal before the law. (Even if we only make 78 cents for every dollar a man makes). 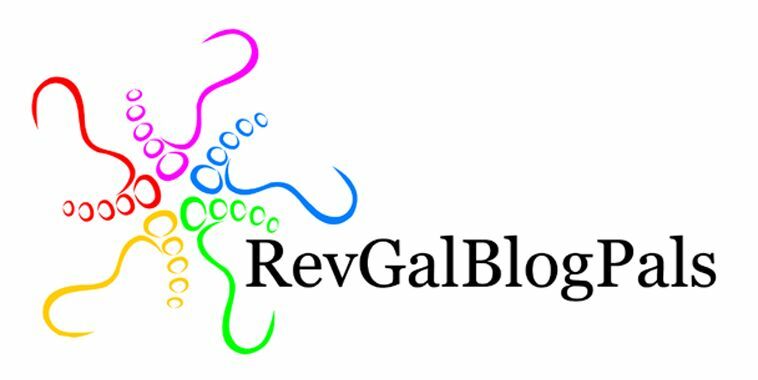 There are still many, many religious traditions, however, where women cannot serve as clergy. There are still churches where women cannot even speak in worship. The extending of civil rights to other people does not, in any way, compromise our own. The discretion of clergy and congregations remains intact. And to my religious friends who are responding with fear right now, I guess my question to you is this–do we not worship the God who created the earth and called it good? Do we not worship the God who set the stars in their courses? Do you really believe God could be threatened by gay people being allowed to be married? People who believe in a sovereign and gracious God are called to live in Hope and not fear. The sky is not falling. Go live in love and hope. A great piece on the difference between civil and religious marriage from a clerical perspective.